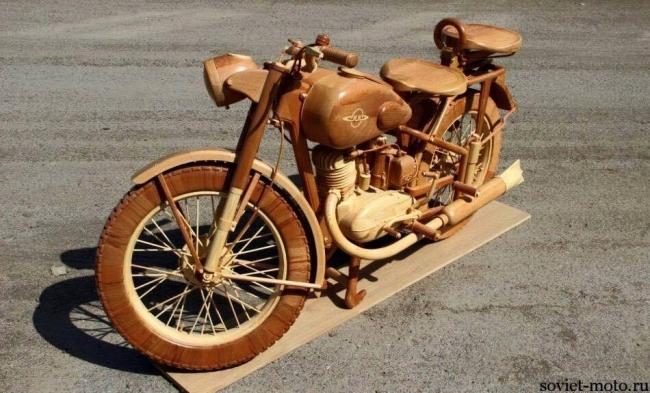 This hand carved motorcycle seems pretty realistic and it becomes hard to believe that the motorcycle is actually carved on wood and not real infact. As we said earlier that the ones who excel in the filed of art they inspire millions of people and become an inspiration for them at the same time. 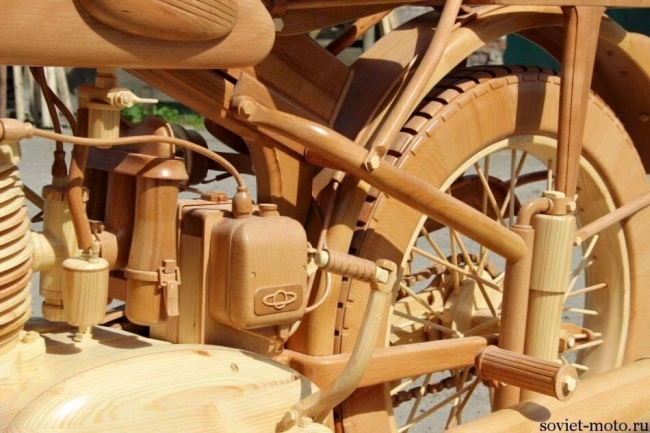 This wood carved motorcycle is a classic example of such an artist or crafter. 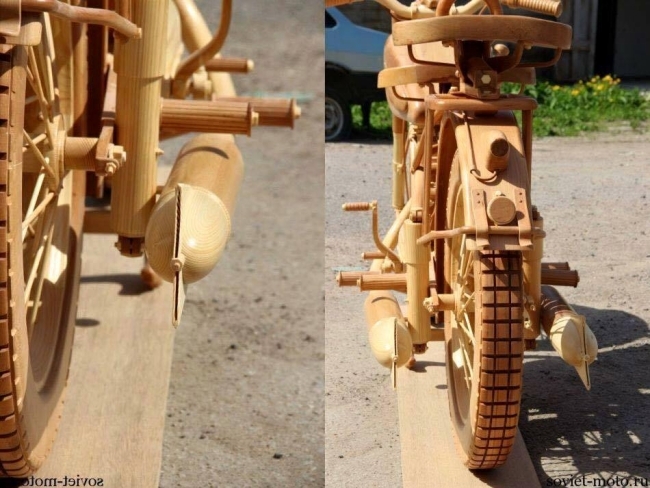 This is probably the model of antique nova scotia. 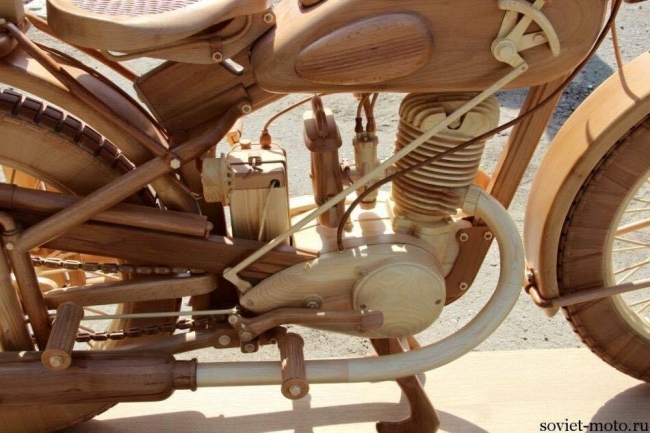 The wood carved motorcycle is literally hard to believe that it is unreal. 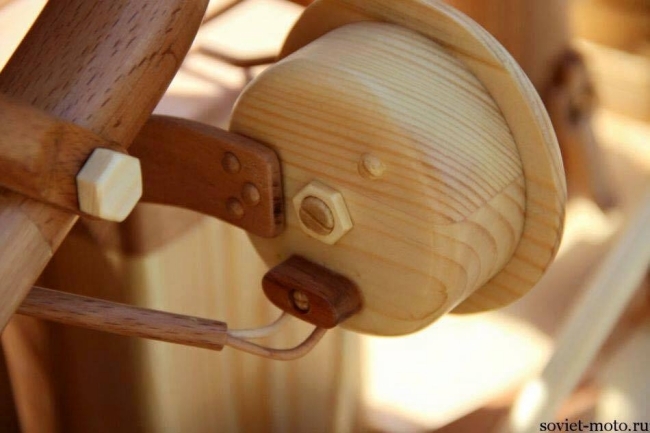 All is the expertise of the crafter who has literally poured soul in his master craft. 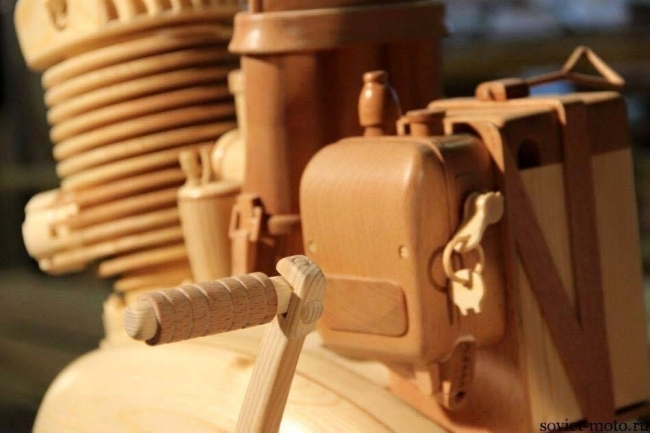 Hand carving is undoubtedly a matchless art. It takes decades to excel in, it can not be learnt in days or mere years. 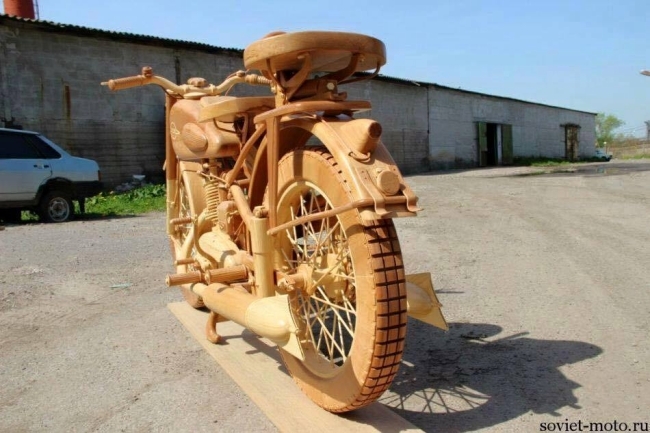 As this hand carved wood motorcycle is the true reflection and demonstration of some master art crafter. The one who has turned the false into reality. 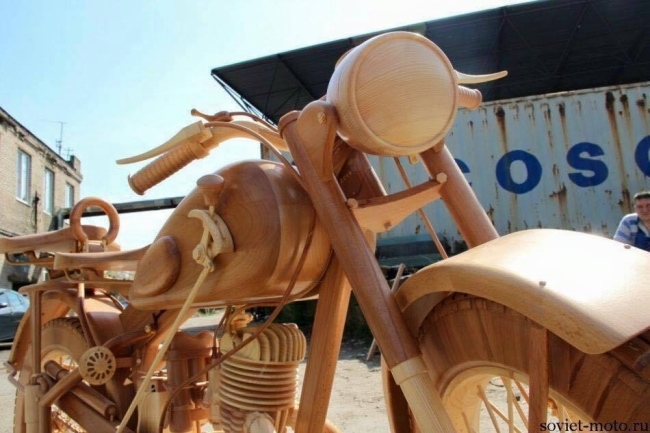 This wood carved motorcycle could be used for multi purposes. 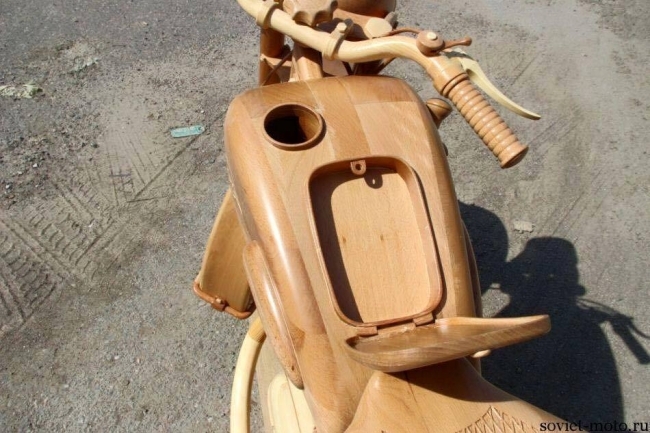 Whether park it in your garden if you are a bike lover, or just leave as an inspiration for the art of carving and recycling.